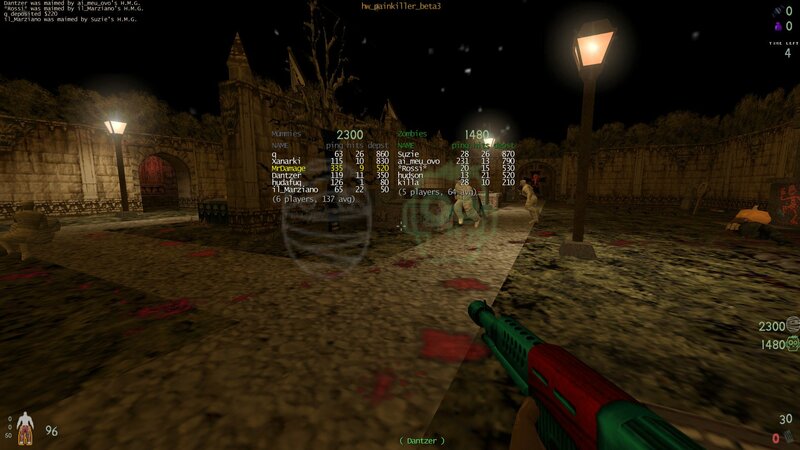 Hypov8 has completed his updates for GunRace and v1.2 is now released for both Windows and Linux. 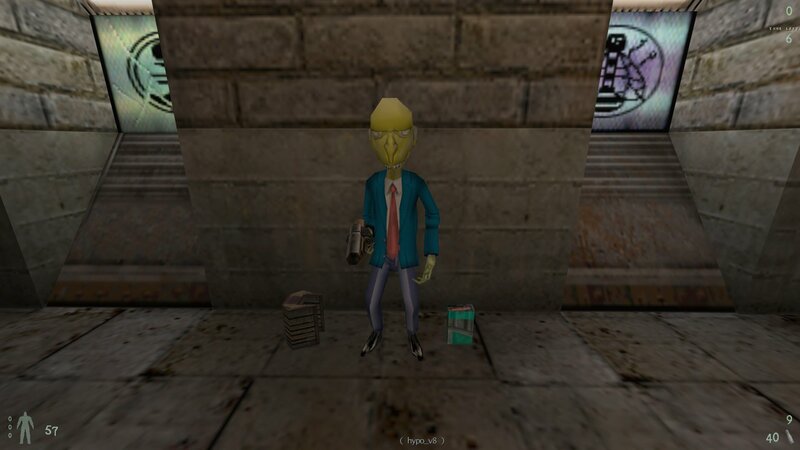 Added support for limited number of custom models - male_homer, male_alien, male_bender, male_krafty, male_mrburns, male_themask, male_soldier, female_wilma and male_drfreak. There was no official v1.1 release as it was a lot of test versions that kept changing as more things were added and fixed. 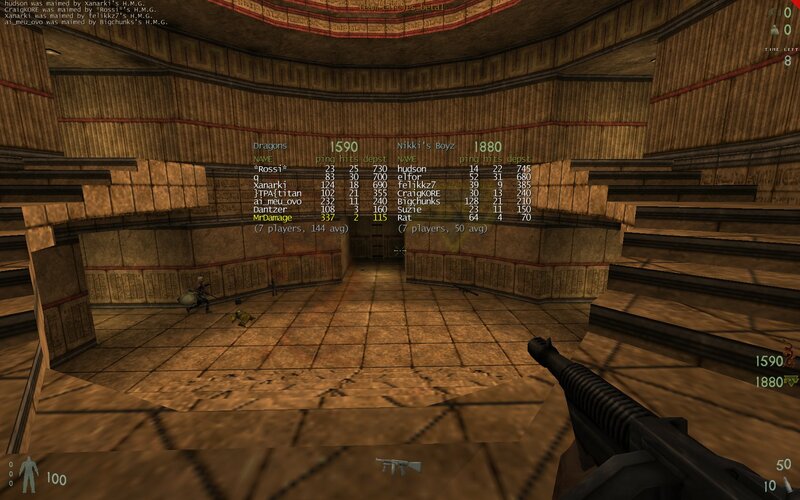 There are full install zipfiles for both Windows and Linux which include everything you need to run a server or just connect to one as a client - server files, client files, all the GunRace maps and the KPDED2 files so you can run a public server. 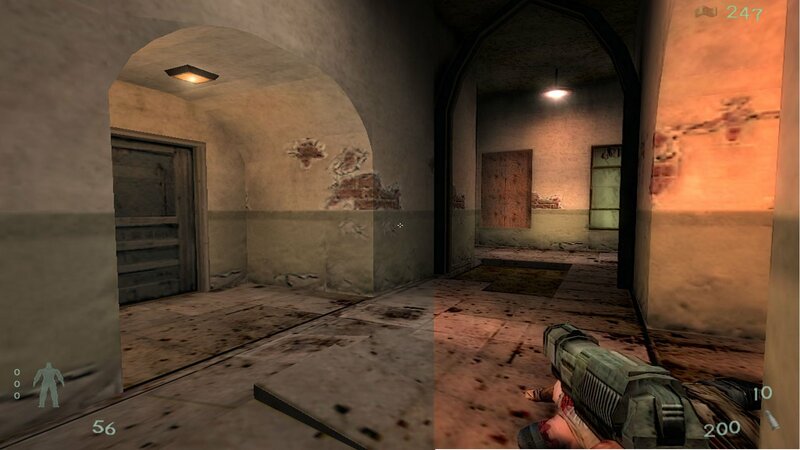 Now there is also a patch that will update GunRace from v1.0 to v1.2. So if you downloaded the full install for V1.0 you only need that. 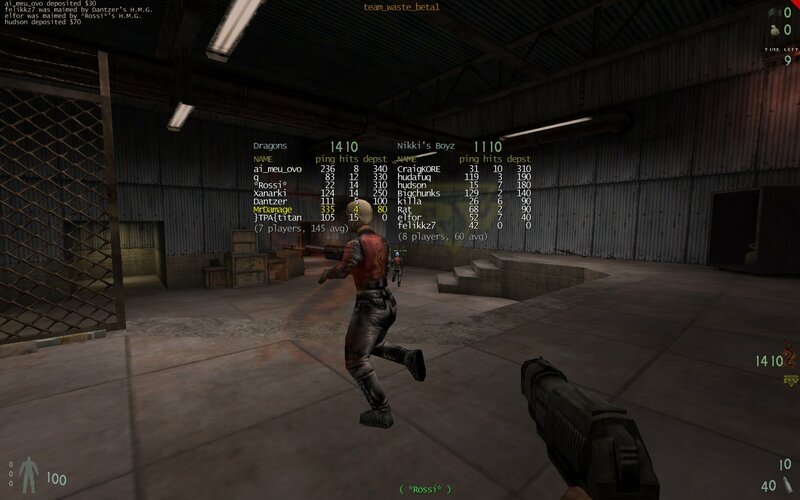 The easiest way to check is to connect to the Luschen GunRace+bots server and in the top left hand corner of the hud it will tell you if your client files are out of date. Client files out of date. As usual just extract/unzip the files to your Kingpin folder and they will be placed in the correct locations. 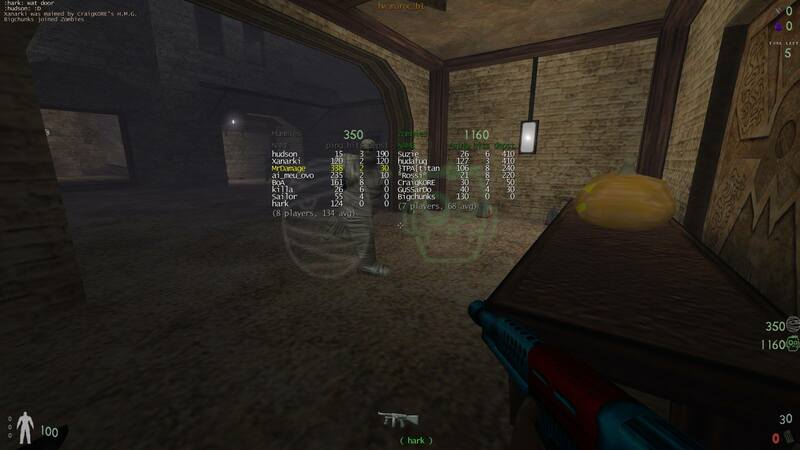 Recently Hypov8 added GunRace weapon support to several models so they could be used with the GunRace mod. When he was doing that he actually fixed some issues with four player models. Beavis&Butthead - rescaled, moved to the centre and fixed the seam. 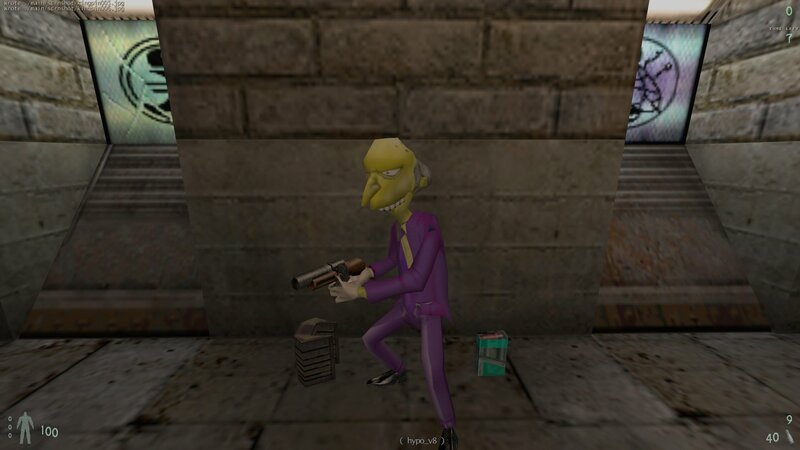 I have now created a new zipfile for Mr Burns which contains all the model files, all known skins, GunRace weapons and Mr Burns player sounds. I added the player sounds becasue Monkrey Harris is owrking on adding individual player model sound support to an upcoming patch. You can download the Mr Burns complete package from here. 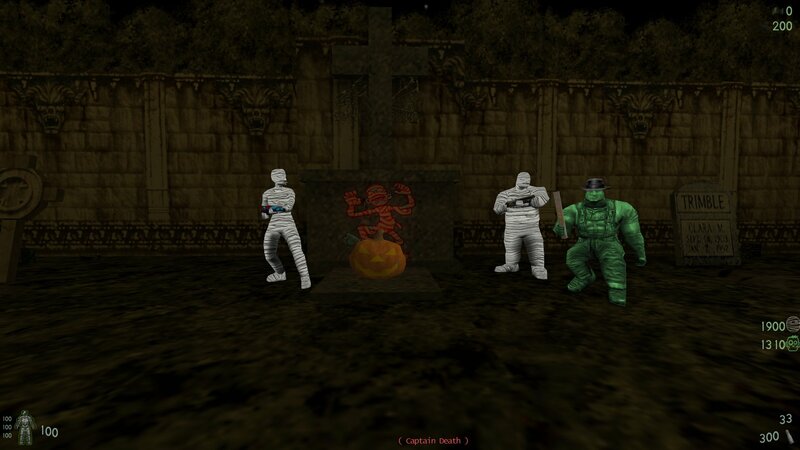 Monkey Harris has now released the Halloween mod server files for both Windows and Linux. I have also updated the Halloween client files to include all the latest Halloween maps, levelshots for all 38 maps, and a new sound for the rocket launcher. If you have been playing Halloween during the past few weeks you would already have downloaded all the new maps. If you don't already have the Halloween client files you can download them from here. Just extract/unzip the files to your Kingpin folder and they will be placed in the correct locations (kingpin/halloween). 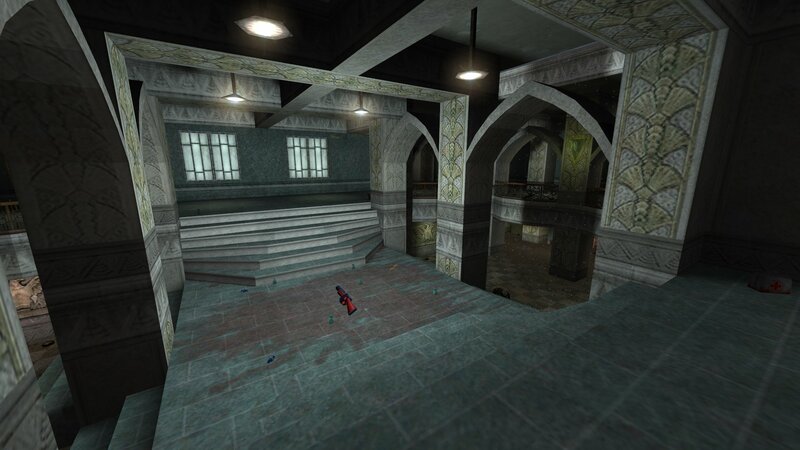 elfor has created another levelshots zipfile with levelshots for 1642 maps. He has updated a lot of the existing levelshots so they are now all uniform by being the same size and all have 2 borders. In case you don't know what they are. Levelshots are the pictures you see when you vote for a map on the map voting screen at the end of the current map in multiplayer. You can download the levelshots zipfile from here. We just had a great game on the GunRace server. 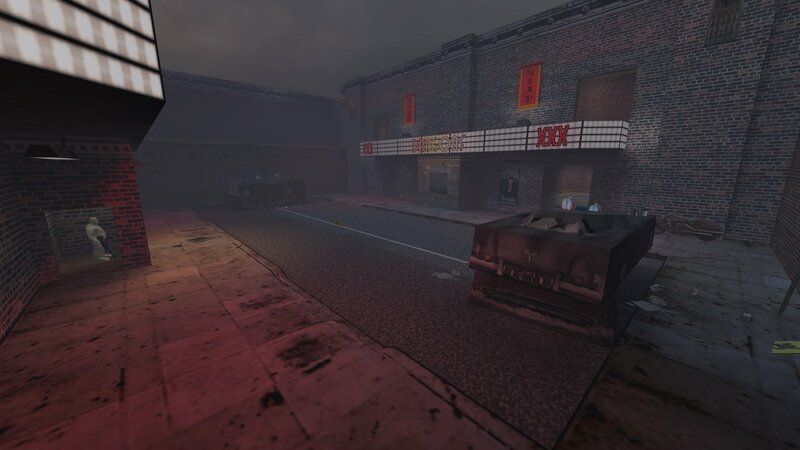 Deluxive has let me know that work is progressing on his new single player episode called Street Revenge. It has 12 levels, an intro and end and a pawn-o-matic. One level is finished, several others are nearly finished and most are at least 50% done. You can see where he is up to here. Killa has created three Halloween mod videos from the recent games. You can see all the videos Killa has made from the weekly games here. The Sunday Game this week will be the Halloween mod. The first hour or so will be Halloween Death Match then the remainder of the night will be Halloween Bagman. Grab the Halloween client files from here. 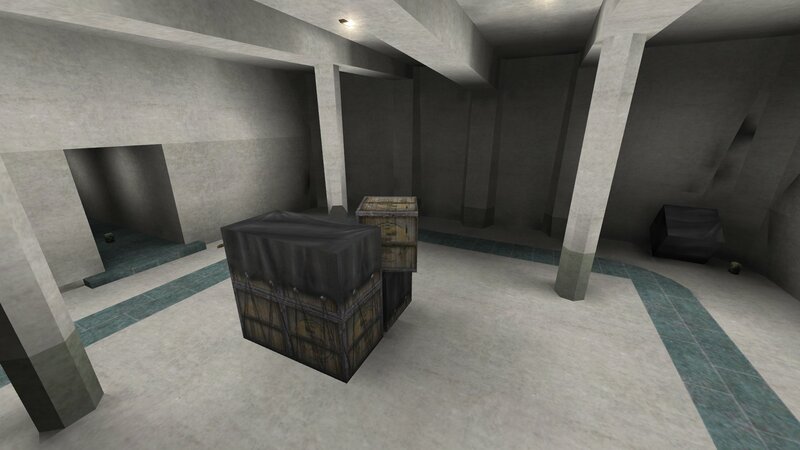 Just extract/unzip the files to your Kingpin folder and they will be placed in the correct location. 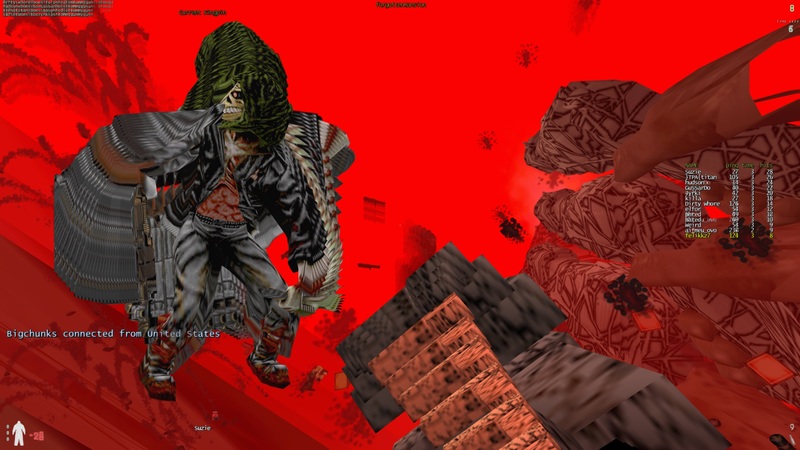 Fredz has uploaded the source files for another of the mods made by Atrophy. This time it's the Leveller mod. Leveller is a simply but fun mod that tries to handicap players to make a more even playing field. Basically everytime you kill someone your max health drops by 20 to a minimum of 20. Everytime you are killed your health goes up by 20 to a max of 200. If your handicap is 1 (20 health) and you manage a kill - you get 100 health automatically, the handicap is broken and you get a bonus frag. There is a much more detailed explanation in the readme included in the Leveller zipfile. Deluxive has posted more screenshots of the new single player mission he is working on called Street Revenge. You can check out the latest screenshots here. 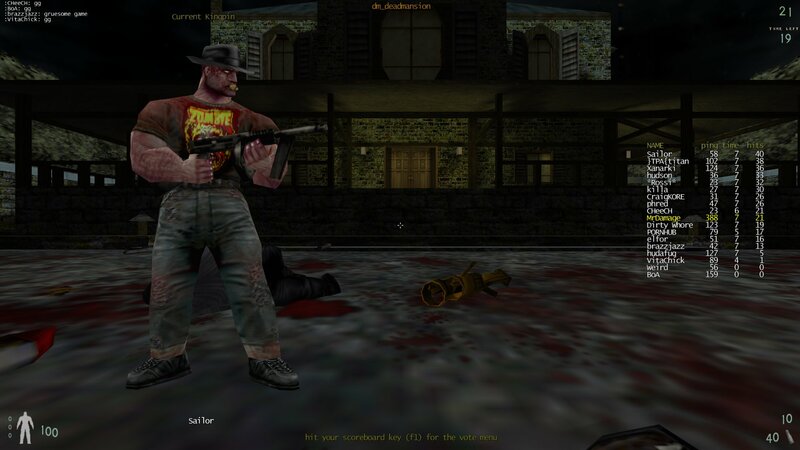 Fredz has uploaded the source files for the old Arsenal mod that was made by Atrophy. If anyone has any source files for mods we don't already host please let us know via the Contact Us button in the Menu section. This is all the Kingpin mods we host here. Unfortunately the Steam button for Kingpin wont show up if it is banned in your country, such as Germany. Kingpin is currently on sale at Steam for 30% off until 30th October Steam time. You can pick up a copy for Steam friend for 6.99. 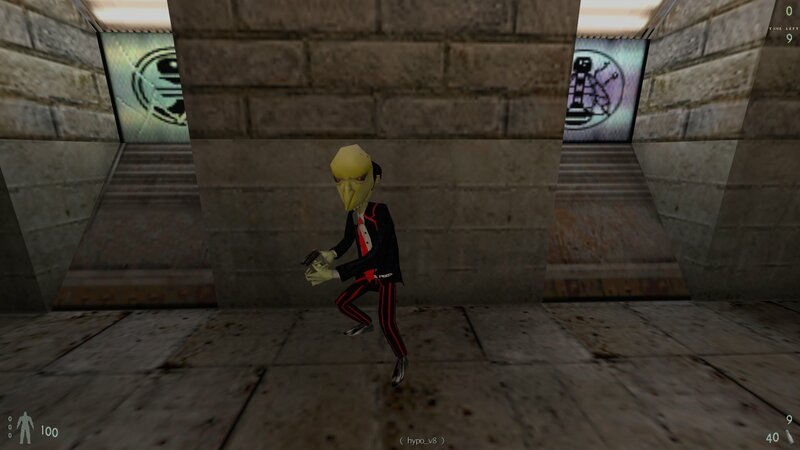 Deluxive has just started work on a new single player mission for Kingpin called Street Revenge. 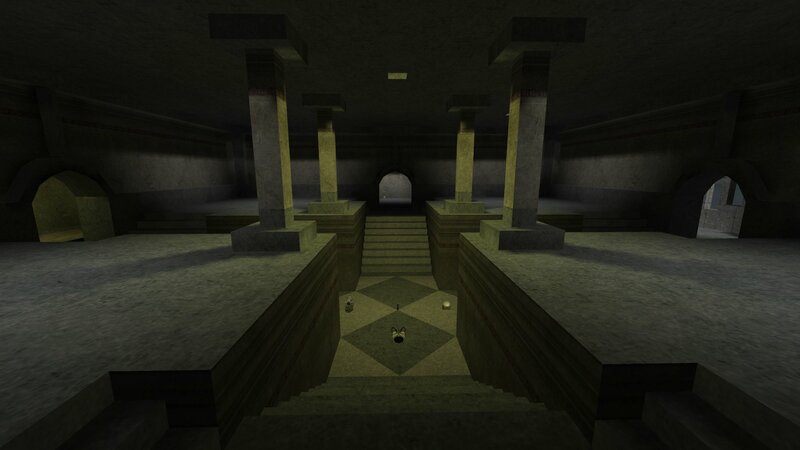 You can check out some screenshots of the first level here. 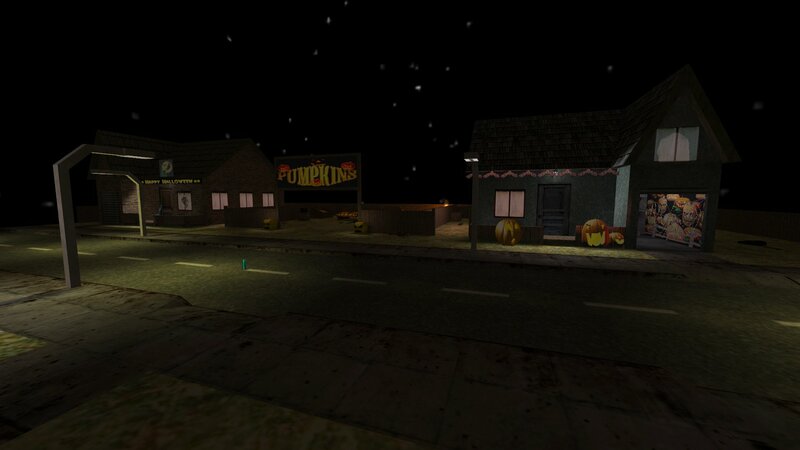 The Thursday Game this week will be the first game of the new Halloween mod. The first hour or so will be Halloween Hitmen then the remainder of the night will be Halloween Bagman. If you still need the Halloween client files grab them from here. 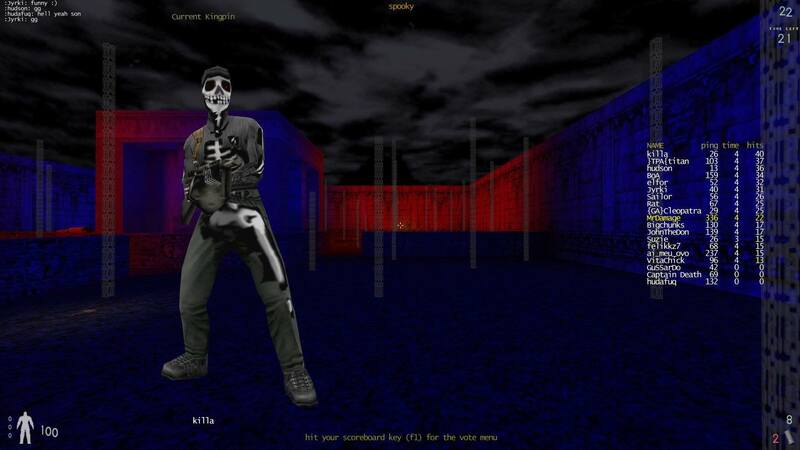 Here is an oldie made by Bits back in 2000. 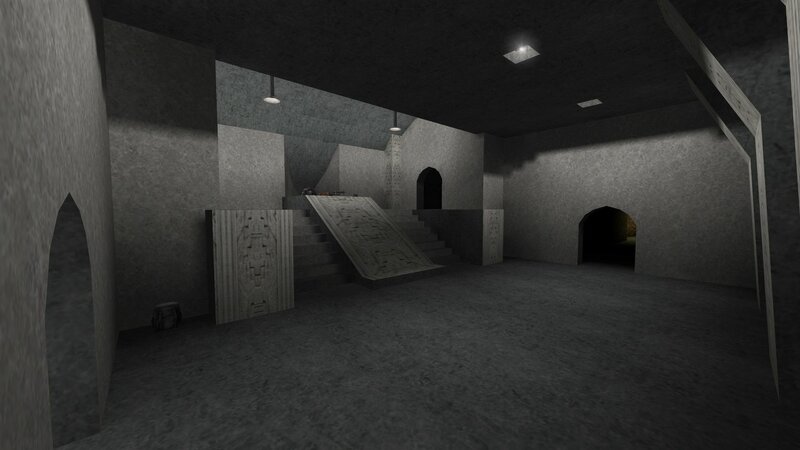 Shadowpalace is a small to medium sized death match map that uses all standard Kingpin textures (mainly grey). 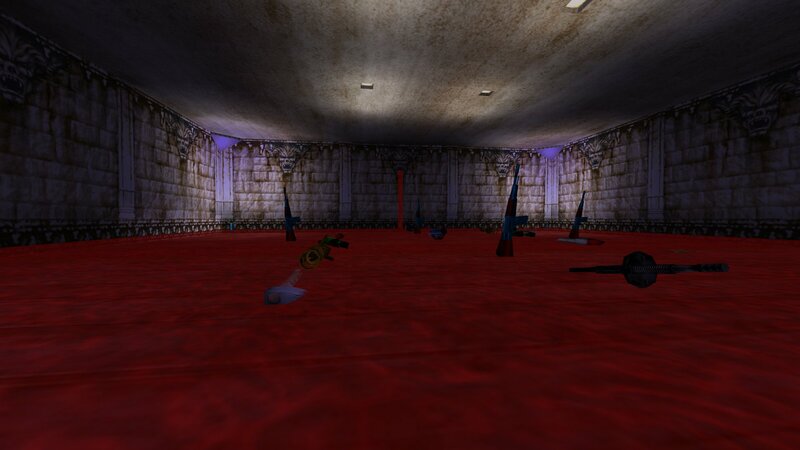 It's set inside a building of some kind, has 8 player spawns, and ample weapons and items. 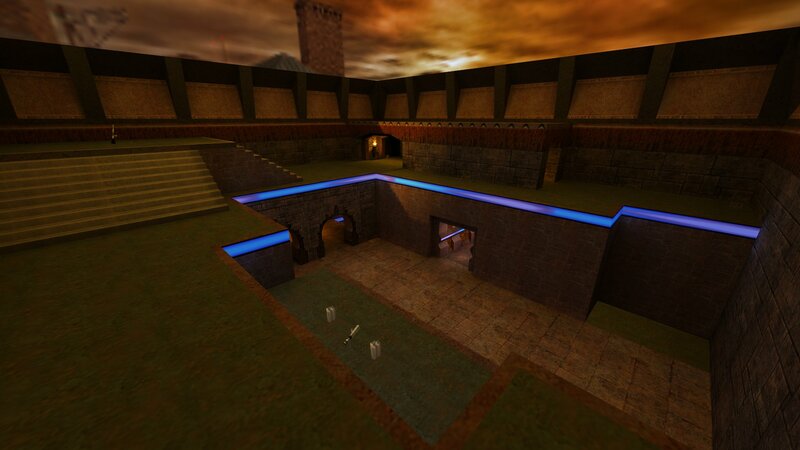 It also has two teleports. You can download Shadowpalace from here. 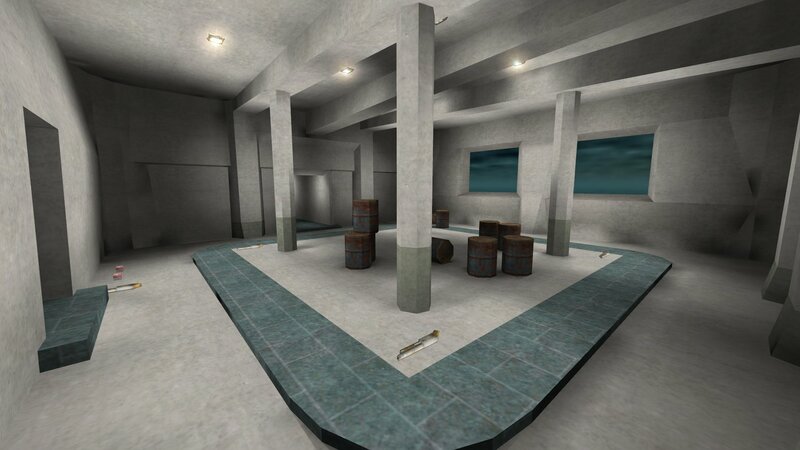 If you want to check it out this map has been added to the map rotation at the Luschen GunRace+bots server. 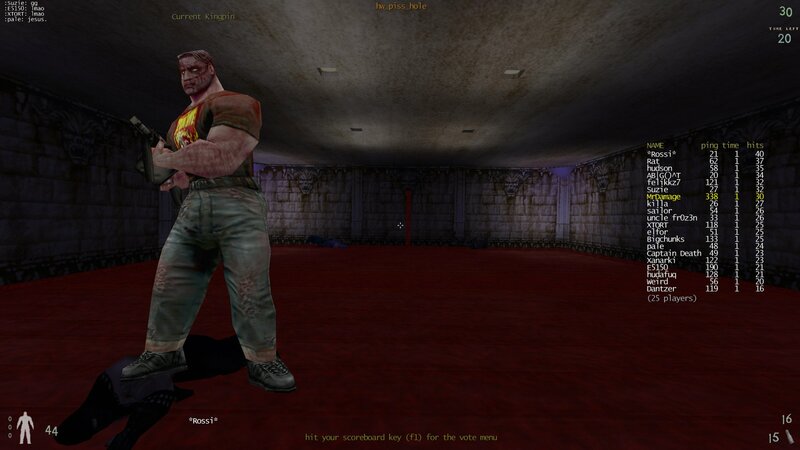 [M] has added custom gibs to the Luschen Botmatch server. When you join the server you will download a small pak2 file which contains the custom gibs. The Sunday Game this week will be the Halloween mod. If you need them you can grab the Halloween client files from here. Craig Kore has alerted me to the sad news that Drew Markham has passed away in June this year. For anyone who doesn't know Drew was the founder of Xatrix Entertainment who developed Kingpin, the Redneck Rampage series, The Reckoning addon for Quake2 and several other games. Without Drew Marham there would be no Kingpin: Life of crime. You can read more about his life here. 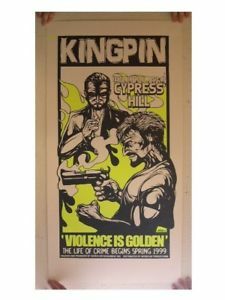 If you have a spare $200 US then you can buy a Kingpin Silkscreen Poster by Jermaine Rogers from Ebay. Fredz has uploaded an old chat session from PlanetKingpin with Drew Markham and Greg Goodrich from Xatrix. 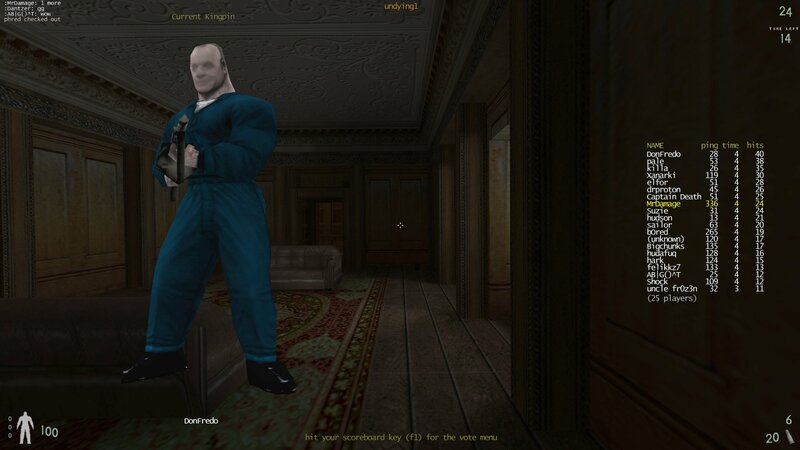 The chat was doen i nMarch 1999 well before Kingpin was released. You can read the chat here. Fredz has also included an Interviews link in the Menu section. Thursday Game Of Halloween Mod 18th Oct. The Thursday Game this week will be the Halloween mod. I got an email from UnevenRatio saying he is going to get setup again and comeback to Kingpin. 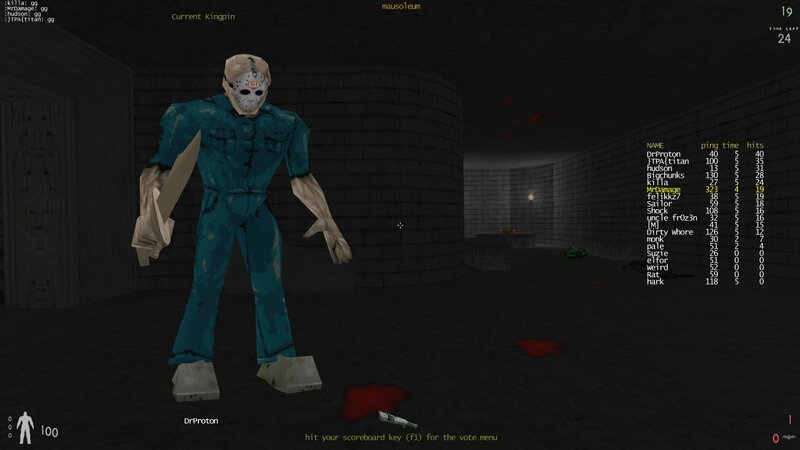 So I thought it was a good time to post about his old death match map he made called DM Shot Gun. 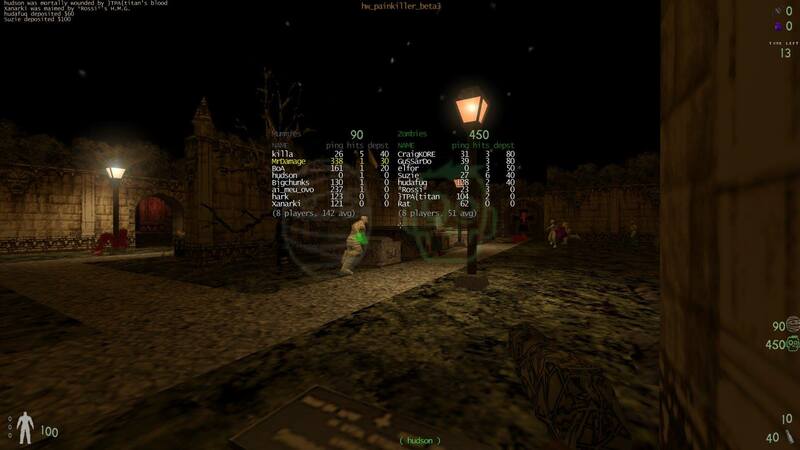 DM Shot Gun is a small death match map. It consists of two rooms with each room having two exits to the next room. The only weapon is the shotgun. 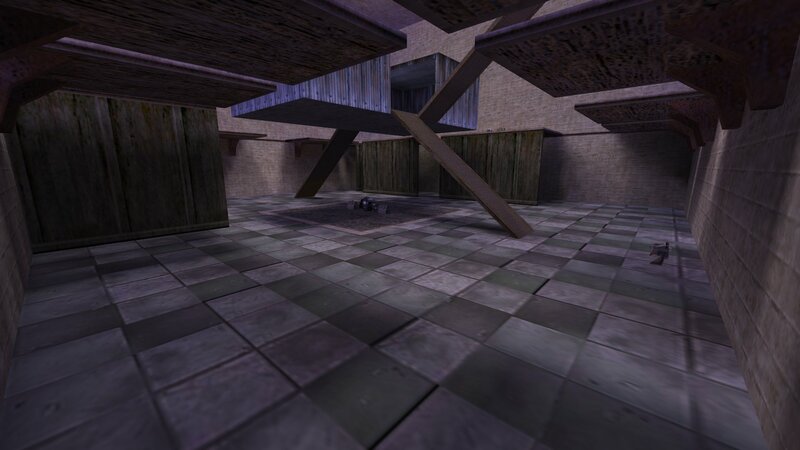 It has 8 player spawns and uses all standard Kingpin textures. You can download DM ShotGun from here. Fredz has uploaded an interview with John W. Anderson (aka Dr. Sleep) from just before Kingpin was released. He also uploaded Pika Commander's conversation with Alex Maybery. Killa has released a second GunRace mod video from one of our recent games. You can see all the videos Killa has made from our weekly games here. Here is a Thug skin of The Tick. The Tick is a cartoon superhero from back in the 90's and has recently been revived as a live action TV series. You can download The Tick Thug skin from here. Just unzip all the files to your kingpin folder and they will be placed in the correct locations. Sunday Game Of Halloween Mod 14th Oct. The Sunday Game this week will be the Halloween mod. The first hour or so will be Halloween Hitmen then the remainder of the night will be Halloween Bagman. If you don't already have them you can grab the Halloween client files from here. 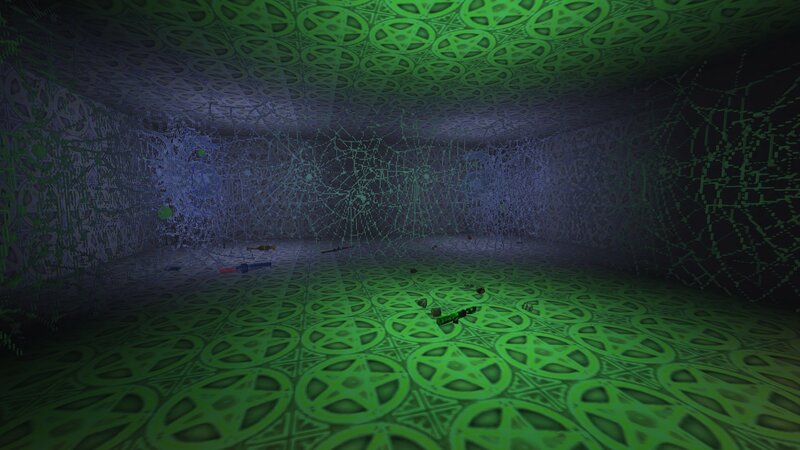 There was a texture missing from the zipfile of the KPDM1 Quaked map. 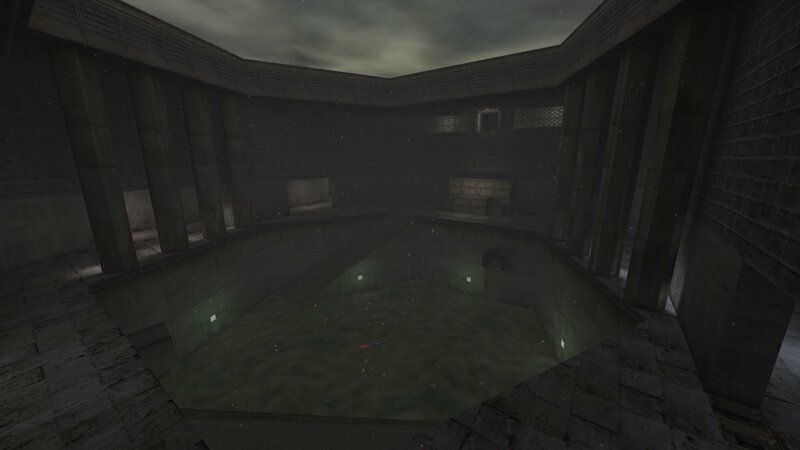 I have added the texture, a levelshot, and the source map file then uploaded the map again. 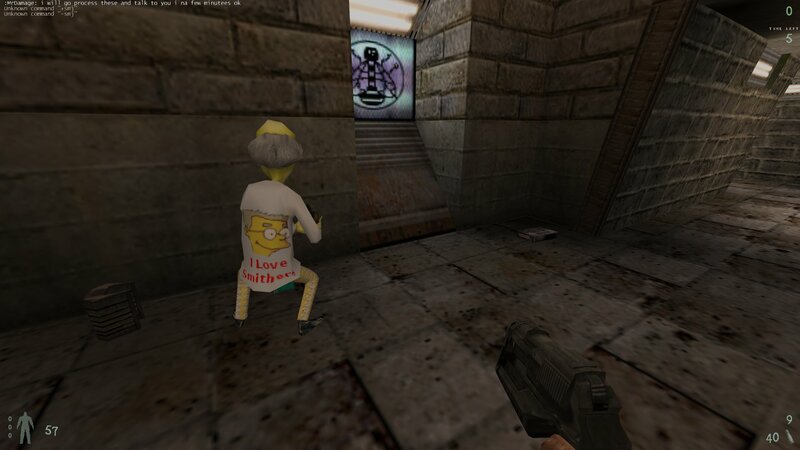 KPDM1 Quaked is KPDM1 remade in the Quake 3 style by Hypov8. 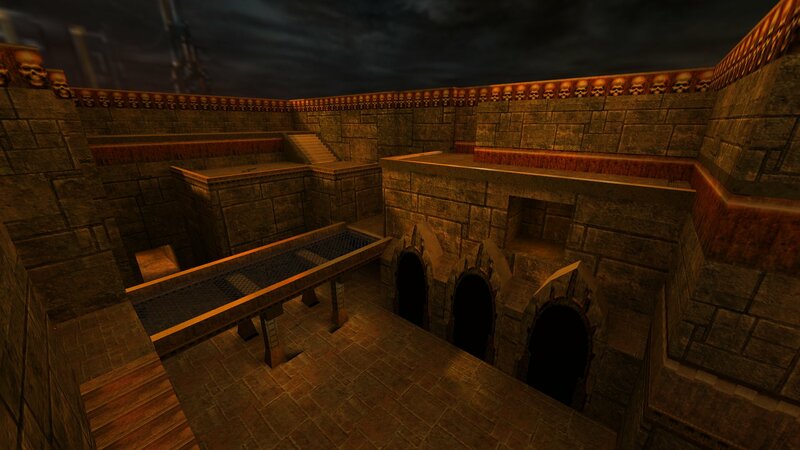 It uses mostly Quake style textures and there are no ladders (as there are none in Quake 3 ). So it uses platforms and stairs instead. It also includes some Quake sounds. It's a very nice looking map. You can download KPDM1 Quaked from here. It's part of their weekly sale and will be on sale until October 15st, 10 PM UTC. Here are some Russian lads playing real life Kingpin. I have uploaded v1.3 of the QeffectsGL wrapper. 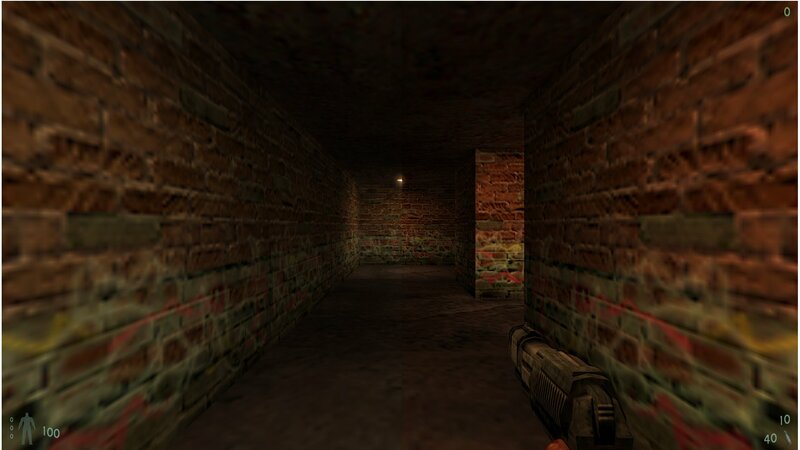 OpenGL pseudo-driver (wrapper) that adds some graphical enhancements to OpenGL-based games. You should place opengl32.dll and QeffectsGL.ini to the game executable's directory before running the game. If the game has multiple renderers available (e.g. 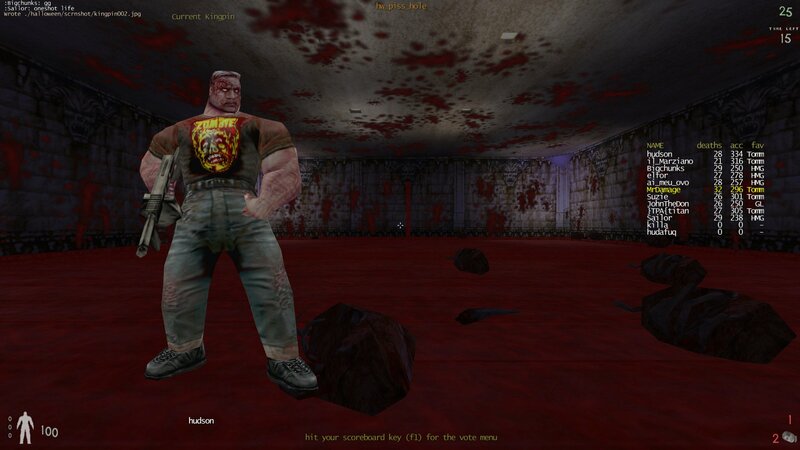 Half-Life, Unreal), OpenGL renderer must be switched to. If you want to check out how it looks you can grab the latest version here. If you want to change back to normal at any time just remove the two files you added. 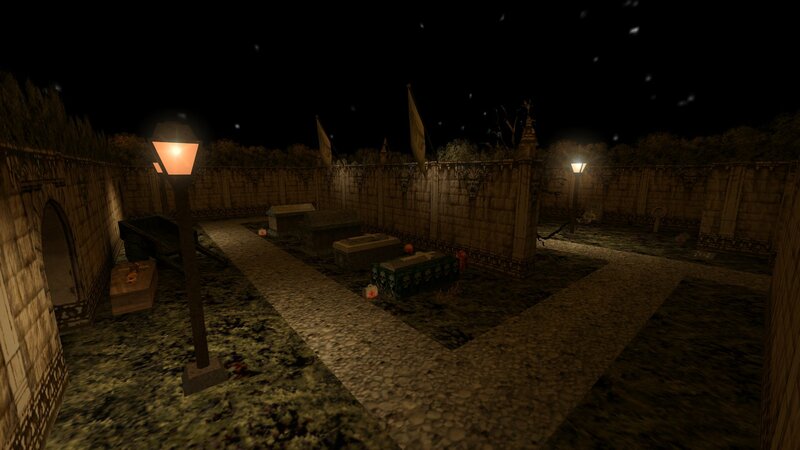 I have done a quick remake of the old piss_hole_jnr map for the Halloween mod. The new version os called Halloween Piss Hole. It's a small one room map that is mayhem with a few people playing. 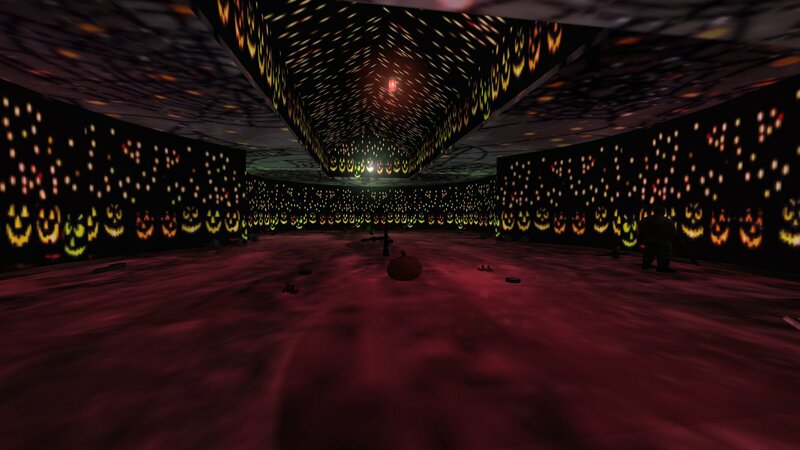 You can download the map (hw_piss_hole.bsp) from the Halloween server or you can grab it from here. Thursday Game Of Halloween Mod 11th Oct. The Thursday Game this week will be the new Halloween mod. The first hour or so will be Halloween Death Match then the remainder of the night will be Halloween Bagman. Check the World clock to see what time it is where you are when it is 9.30pm UK time here. Pika Commando had a bit of a conversation, via PasteBin, with Alex Mayberry who was one of the level designers for Kingpin. It is quite an interesting read. On their Facebook page Interplay list their current top ten games (I assume from sales figures). To check out where Kingpin is on the list check out the Interplay Facebook page here. Felikkz7 sent in a couple of func train rotating tutorials for mappers we didn't have so I have added them. You can check out all the example maps to help mappers that we host here. Elfor sent in the v1.21 Kingpin patch in a zipfile. So we now host the exe version and a zipfile version. You only need the v1.21 patch if you are installing the original CD version. The Steam and GoG versions are already patched to v1.21. So if you plan to install/reinstall Kingpin from the original CD you can download the v1.21 patch, in a zipfile, from here. Just unzip/extract to your kingpin folder and overwrite the old exisitng files. Felikkz7 sent in some mapping tutorials but it looks like we already hosted them. For setting up the KPRAD editor (that comes with the game) I recommend the mapping for winxp tute which you can download from here. I highly recommend using the 3rd one along. We also host a zipfile called kp_map_tutorial. This has many mapping tutorials from making a simple one room map to advanced techniques. You can download that one from here. We host other mapping tutorials here and example maps here. 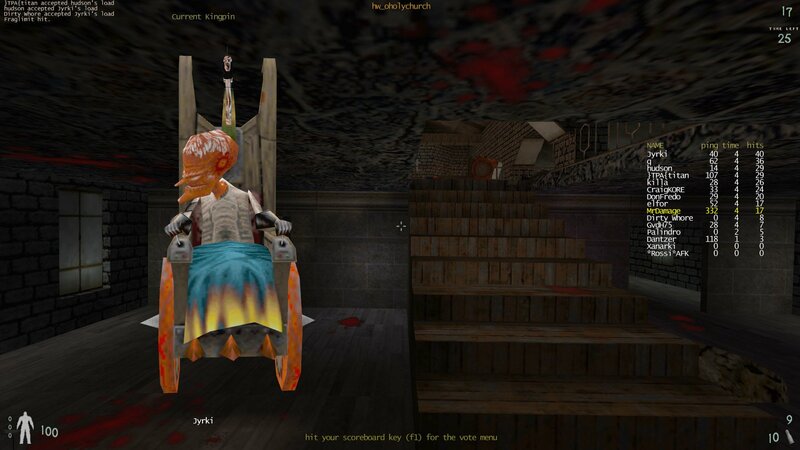 Felikkz7 sent in a couple of psychodelic style screenshots from last week's Halloween game. 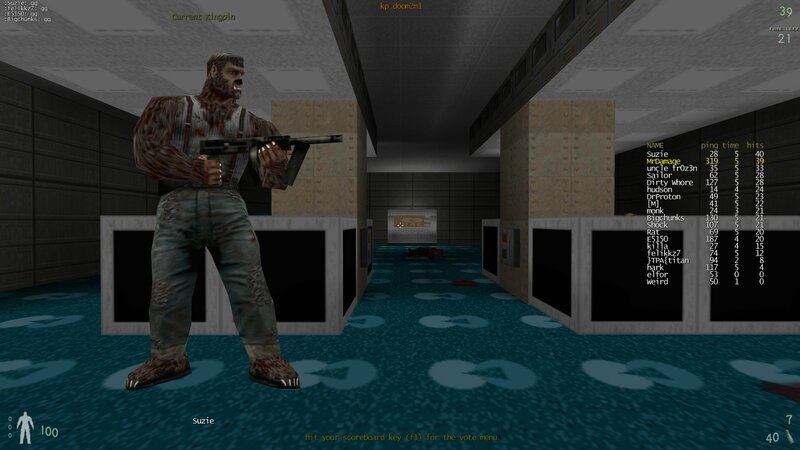 The Sunday Game this week will be the newly released Halloween mod. The first hour or so will be Halloween Hitmen then the remainder of the night will be Halloween Bagman. Killa has created a short GunRace mod video from one of our recent games. A few days ago I posted about an article discussing the making of Kingpin. Fredz found the article in Retro Gamer and has uploaded some scans of the article. You can check out the scans here. He also uploaded pics of the cars used in Kingpin and you can check those out here. 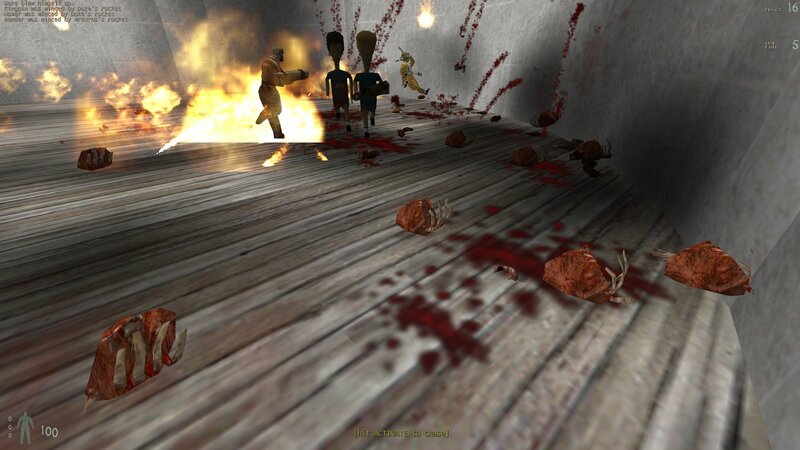 A big crowd was on hand for the first game of the new Halloween mod. The Thursday Game this week will be the first game of the new Halloween mod. The first hour or so will be Halloween Death Match then the remainder of the night will be Halloween Bagman. 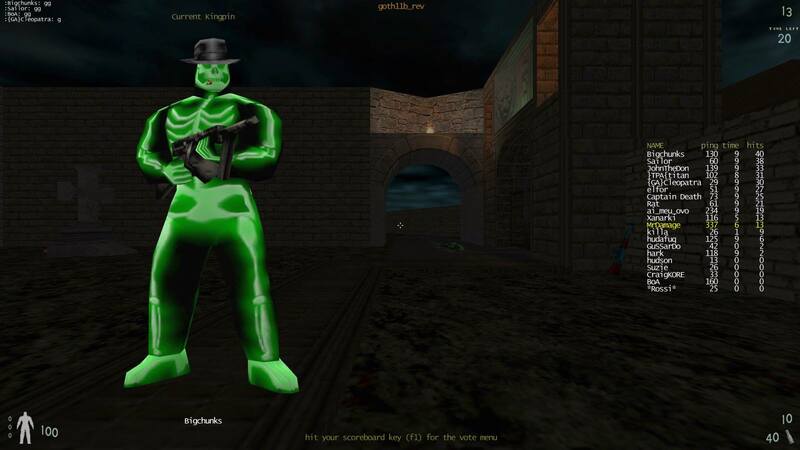 The client files for the new Halloween mod have just been released. 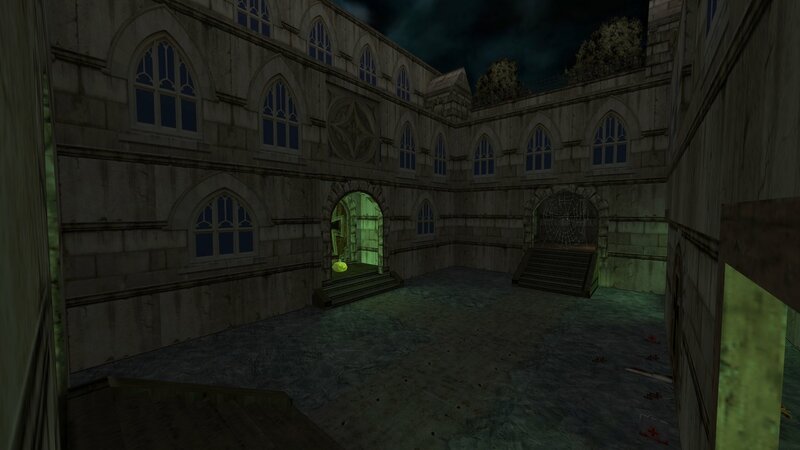 They contain the actual Halloween client files and all maps that will be used by the mod. You can download the client files from here. 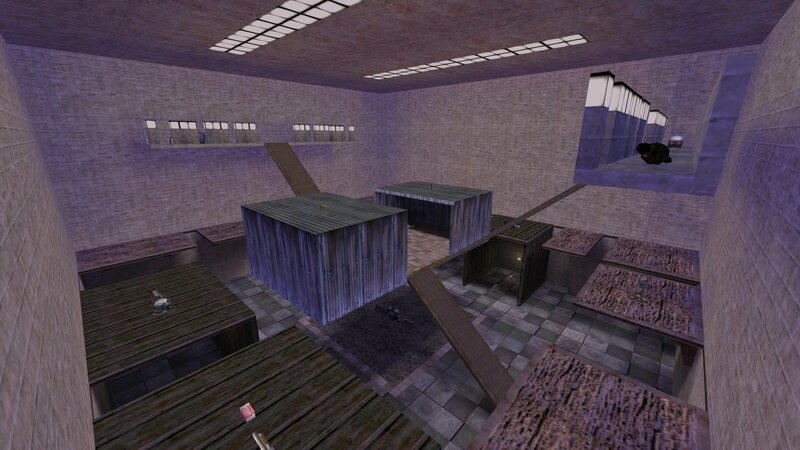 I have updated the old Bigroom map that was made by Deefa. The old map had a few issues so I decided to update it but not to change too much just to fix it. The new map is currently called Bigroom 2018 beta. I added some more spawn points and fixed the old ones so you don't spawn facing the wall. I changed the stairs and middle elevated room so they are both much easier to manoeuvre. I moved the HMG from the top walk way to the ground floor and made a few other weapon/item placement changes. Did some minor texture changes and architectural changes. You can download Bigroom 2018 beta from here. I never realised that some of the bikes and cars used in Kingpin were based on real life models. You can check out the makes of some of them at this page here. Here is an interesting article from earlier this year about the making of Kingpin. It discusses how it was made, who was invloved, and why it was so controversial at the time. They also have another article on Kingpin called The Influences of Kingpin. It seems the game Dan Koppel envisioned was quite different from the one that was released. Here are some screens from some of the maps that have been remade by Killa, plus one remake and a new map by me, for the soon to be released Haloween mod.